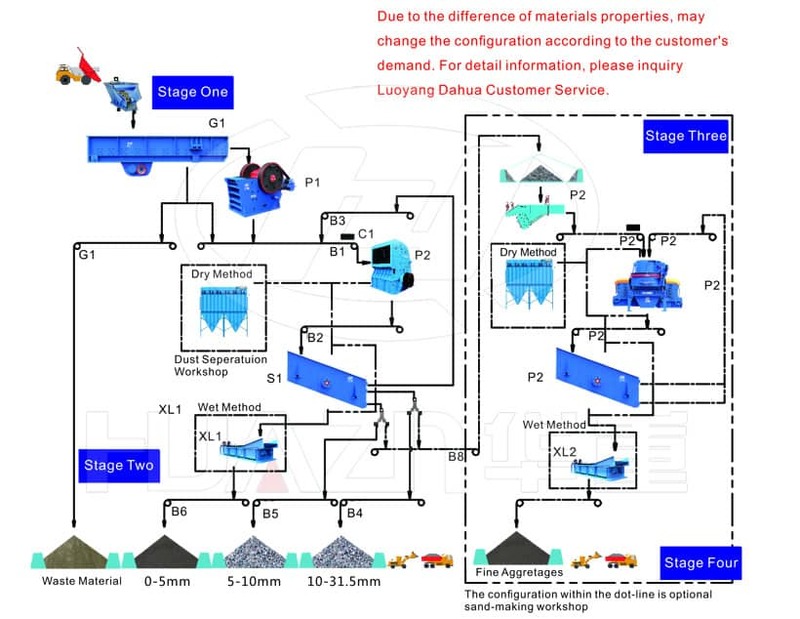 The crushed dolomite will be lifted to the storage bin by the elevator, then the material will pour down from the hopper and be transported by the feeder evenly to the crushing machine. During the grinding process, the qualified material will go to the collector through the pipe after screening. The collected material is the final product and will be discharge from the pipe, for the disqualified material, it will go through the grinding process again. The purified airflow goes into the air blower through the air pipe above the separator. The wind path is a circle. Besides the path between the air blower and grinding chamber is positive pressure, all the air in the pipes is negative pressure. The sanitary situation is good. Customer Evaluations: Dahua’s product is perfect, with the cooperation with the engineer, the production line completed smoothly, and there are no problems appeared during operation. The excellent technical level is well worth our trust. Customer Evaluations: According the high performance of vertical impact crusher, it fully meets our company’s requirements for the sand making. The produced particles have good shape, uniform granularity, and reasonable configuration. Dahua equipments save cost for us, and finished the project more than a month earlier than we expected.